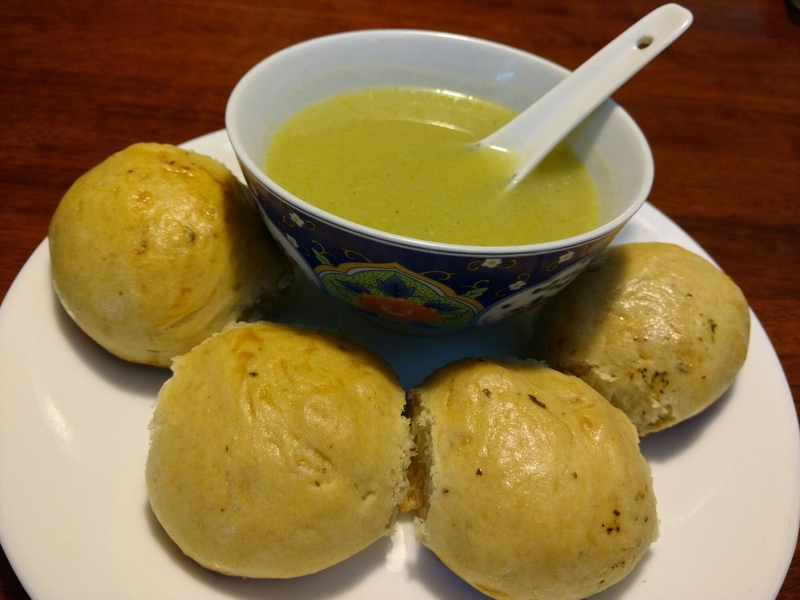 Moringa/ Drumstick Soup with home made Buns. Moringa aka Drumstick is a new discovery for the western world, for us Indians,it has been one historically. My favourite dish with drumstick is the drumstick soup. Pressure cook drumsticks, cloves and 2 cups of water for 3 whistles. Open the cooker when all pressure is released. Separate the flesh from the drumstick skin. Blend the drumstick flesh with the cooked garlic and water. Take 1tsp ghee in a pan, when hot add the drumstick plup, salt and pepper to taste. Bring to boil. Serve hot. I had mine with my home made Buns.